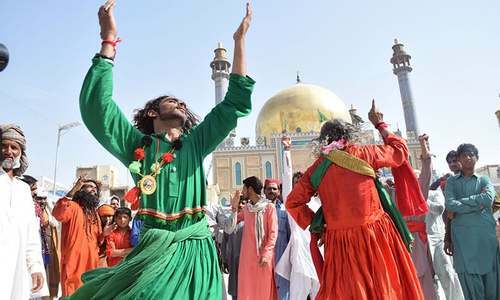 Pakistanis are celebrating the 72nd Independence Day with traditional zeal and fervour, with commemorative ceremonies held in cities across the country. 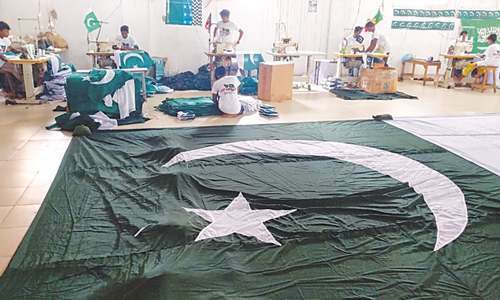 The day-long festivities began with thanksgiving prayers and the hoisting of the national flag at all important public buildings in the country, which had been decorated with bunting and lights ahead of August 14. The day began with a 31-gun salute in the capital, followed by 21-gun salutes in all four provincial capitals. Change-of-guard ceremony at Mazar-i-Quaid in Karachi. The main ceremony was hosted at Islamabad's Jinnah Convention Centre, where President Mamnoon Hussain hoisted the national flag. 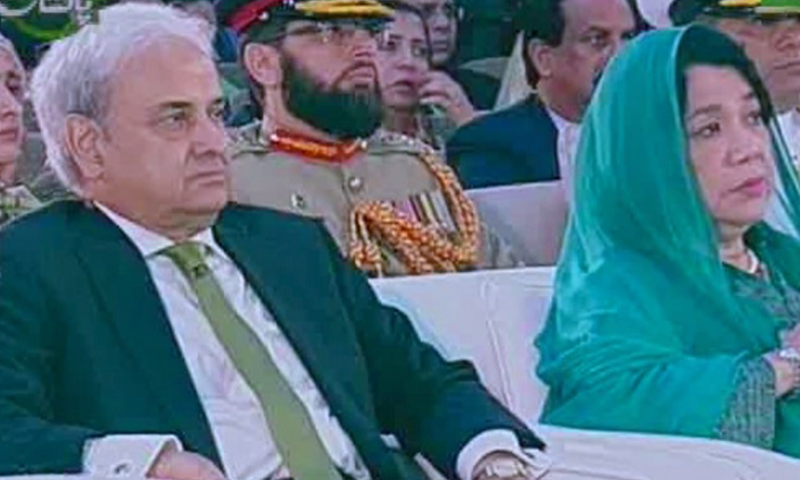 The ceremony was also attended by caretaker Prime Minister Nasirul Mulk, the three chiefs of the armed forces and other notable personalities and foreign dignitaries. Change-of-guard ceremonies were also held at the mausoleums of Quaid-i-Azam Muhammad Ali Jinnah and Allama Iqbal in Karachi and Lahore, respectively. 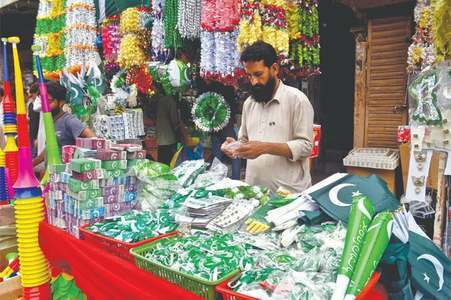 People across the country flocked to stalls that lined up streets to purchase national flags in different sizes, t-shirts, badges and other merchandise to display their national pride. 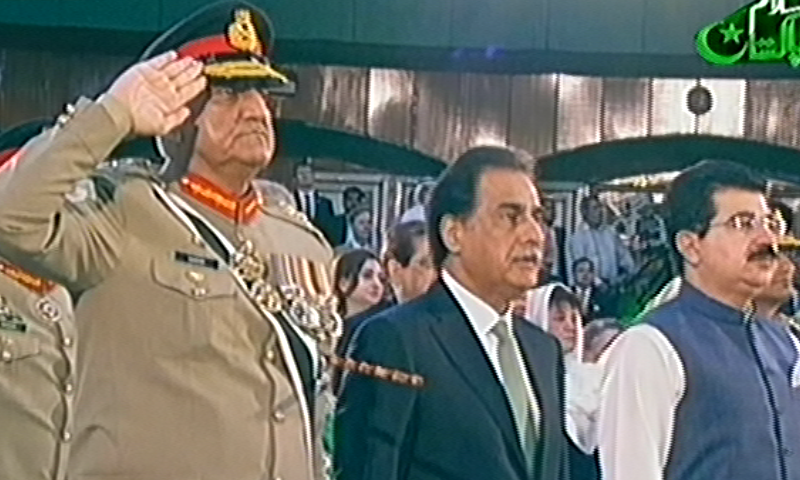 In his address to the ceremony at the Convention Centre, President Mamnoon congratulated the nation on what he said was the "day of true celebration". 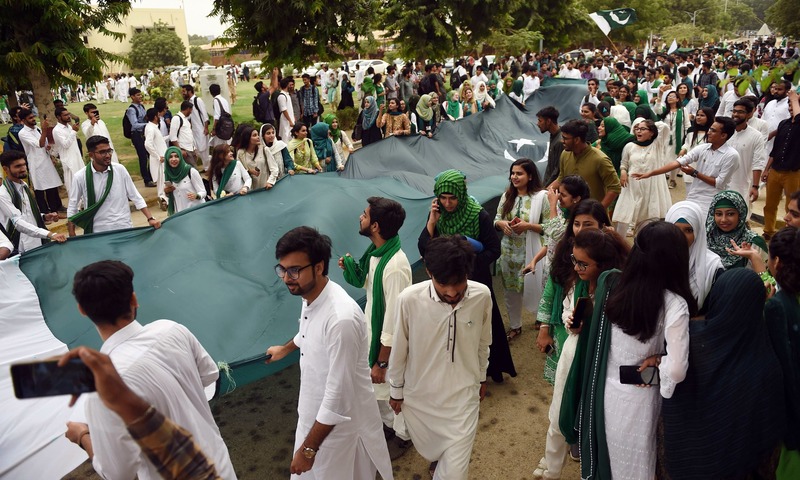 "It is a reminder that the way this country had come into being with the people's will, in the same manner, the decisions regarding its fate will be made through the vote," he said, adding that the Pakistani nation had stamped this very principle on July 25. Terming Pakistan as an "exception blessing" of God, he said the objective behind the formation of the country was to free humans from the slavery of other humans so they could live their lives freely without fear of exploitation. He said despite significant progress, Pakistan has yet to reach its destiny and that a consensus about national objectives is imperative to achieve the goals. On their independence anniversary, the president said, the Pakistani people remember the people of Kashmir and their historic sacrifices. "Pakistan will continue to provide its political and moral support to resolve the Kashmir issue under United Nations resolutions," Mamnoon said. He called upon the international community to raise its voice to get the Kashmiri people their due rights. 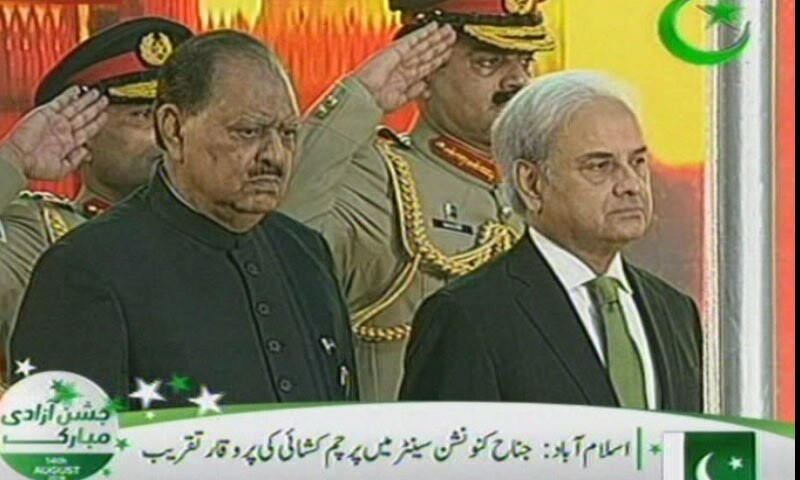 In their separate messages, President Mamnoon and Prime Minister Mulk extended felicitations to the nation on occasion of the 72nd independence day, Radio Pakistan reported. 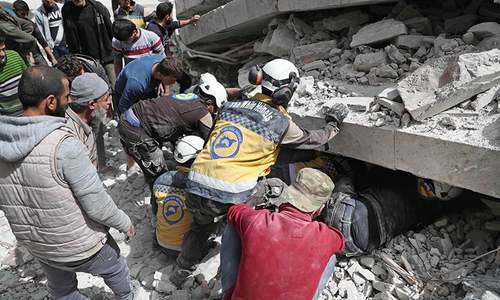 The day of Aug 14 reinforces the people's resolve to work for the progress of their country, they said. 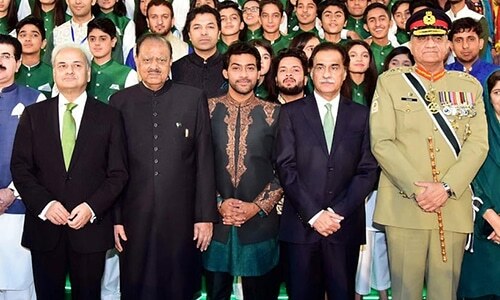 Terming Pakistan a blessing of Allah, Mamnoon said Pakistan can overcome the economic problems and other issues it is facing by only following the teachings of the Quaid-i-Azam and Allama Iqbal in their true spirit. 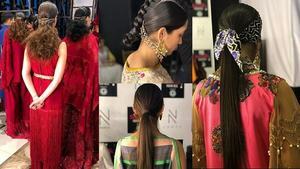 In his message, the prime minister said the occasion "reminds us of the epic democratic struggle of our forefathers for securing a separate homeland for the Muslims of the sub-continent where they could fashion their lives according to their religious, cultural and social values," according to Radio Pakistan. 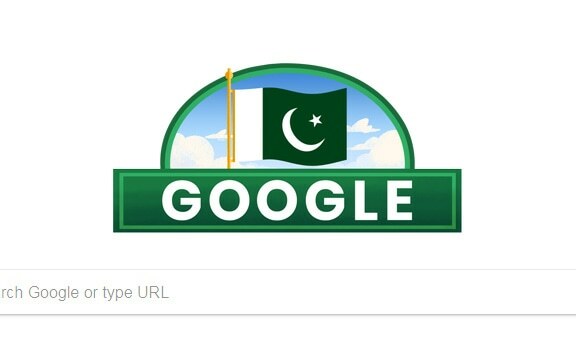 A Google doodle celebrating Pakistan's independence day. An unwavering commitment to the ideals of the Quaid and implementing the principle of 'Unity, Faith and Discipline' will help the country overcome its challenges and make it a self-reliant, economically vibrant and prosperous state. Happy Independence Day Pakistan, love from India. May this new govt attain the heights u all deserve. Good luck and warm wishes. Today I am not Anees, I am not Yosafzai, I am not from Swabi, I am not a teacher. I am A Proud Pakistani. Pakistan Zinda Baad ! Congratulations to all the Pakistanis all around the world for our 72nd independence day celebrations. During the celebrations we must not forget our brother and sisters who gave their lives 71 years ago to get us an independent nation. Happy Independence Day to all Pakistanis. Happy Birthday Pakistan from India. Love you Pakistan so much. Happy Independence Day Brother Pakistan. Happy Independence day Pakistan from Bangladesh. Happy Independence Day to all Pakistani brothers! Today's(Aug 14) my parents marriage anniversary. Not only if you believe that i was born on 23rd of march. So its Pakistan all around me. @Ravi - Same to you and all our Indian brothers & sisters and their families! All energies n abilities for my motherland rising n withholding it. Happy independence day. Pakistan Zindabad!!! Wishing all staff members of Dawn publications, readers, and dear countrymen of Pakistan, all happiness & prosperity on this auspicious day! @Eylül Yılmaz Thank you Brother. Love you Turkey so much. A true friend and my beloved beautiful Turkish people our well wishers. WOW!!! So many Indians wishing well on our independence day. How beautiful. Happy Independence day to our brother India as well. Proudest i have been in over 10 years - Pakistan Forever Zindabad - today and forever i not Mohajir or Sindhi, i am Pakistani. I wish all my fellow citizens a very happy and peaceful 'Independence Day' and pray for it's integrity, sovereignty and prosperity. Where all citizens are treated justly, equally without prejudice and all their basic rights and necessities like education, health care, clean water and job opportunities are provided to them - Ameen! Pakistan Zinda and Pindabad. What if they are bought so as to loot and plunder the nation? From Sri Lanka Pakistan Zindabad. I wish the power of the vote could decided everything, but it does not. Too many con men, vassals and fools get themselves elected. Simply he is saying "vote ku izzat du"
For the first time in Pakistani's history, the democarcticvoting process has reallly worked to peacefully remove a corrupt regime and elect a popular figure who is devoid of same traits that plague PPP and PML-N - the two main parties in the country. The hope lies in strengthening the demcoratic process with checks and balances, accountability and transparency. We are a proud nation and wish all the nation happy Independence day Long Live Pakistan. Wish everyone in Pakistan a very Happy 71st Independence Day. Hope it's a dawn of a new era sans the baggage of the past and the determination to create a naya Pakistan. Wish the very best! Pakistan's destiny lies in standing on its own two feet, becoming economically independent, free from loans, grants, handouts, etc. this is what the people of Pakistan want. The picture shown above is of NED University not Karachi University. @Farooqui. Answer. the middleman, they are the ones who make and break deals!. Like Imran wants to be a middleman between Saudi Arabia and Iran!!. The power of the vote has been trumped many times in the past either directly or indirectly. @Abdul Ghani sir it is correct, the first independence day was 14th August 1947 and now 14 aug 2018 is 72nd independence day. 71 is the birthday of pakistan. @Khan.P thank same to you!! @anees zed Great#!! Now stay they way throughout the year. 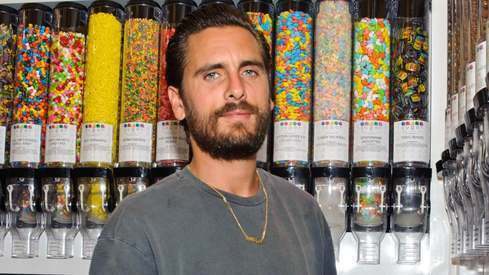 who is the boy in the middle of the picture? From the other side congratulations. Pakistan's destiny lies with its own citizens and they proved it during the recent elections. @zorro Let's hope for good relations between the two countries. Happy Independence Day, please send all Afghans refugees back immediately. Dawn should also report who were the guests (foreign dignitaries) who attended this session. Agreed Hakim Sahib But people vote for one party but victory is arranged by powerful quarters for other party. Is there any solution for this cancer exists? Pakistan needs a long struggle to get Azadi. 1947 Azadi is not completed yet. Kashmir issue is still unresolved. We are still slaves of the establishment even after 71 years. wish you happy independence day. Happy Independence day Pakistan. 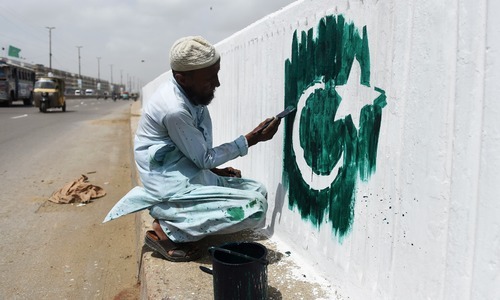 Silent Majority of Bangladeshis love Pakistan. @anees zed And also today you are not a Sunni or a Shia or a Ahmadi or a Hindu but you are a Proud Pakistani and always be like that. Your right sir, wish you were selected on vote as well. I like to take this opportunity and thank the people of India, Bangladesh and Turkey for their gracious and kind words on the Independence day of our beloved country. Who says people don't want peace, just read some of the comments from our neighbor Indians, you'll be amazed at how wonderful most of our neighbors are. Now only if our politicians would find a way to promote peace, hope they keep in mind that it involves over a BILLION and a half people. Videos of flag hoisting ceremonies made me remind that we had an interim prime minister also. The power of vote has always been there, unfortunately, the power of the political parties have failed to work for the masses, too busy working to strengthen their own parties and interests. So Mr. President, if you want to call out the AWAM and their votes, I'm ok with that, but please don't forget to call out the greedy political leaders, doesn't need to be today, but it needs to be done. Our destiny lies in the hands of our government, our leaders, our future depends on leaders, Pakistan's progress depends on our leaders, millions upon millions of Pakistanis vote every election, yet our votes remain powerless. Pakistan’s destiny lies in honest governance to start with. 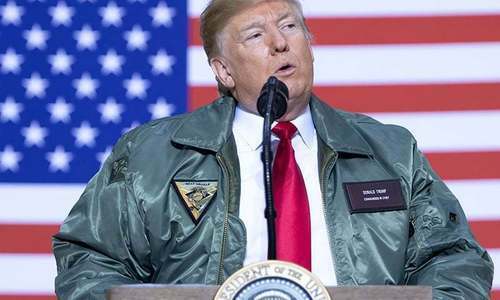 Mr. President the destiny of Pakistan though vote is important is to bring a Paradigm shift in the political, bureaucratic, feudal, slavish mentality developed by colonists, and class system. This election is the first sign that if the people in power not going to change the time is going to change them. The common deprived Pakistani had stood up and taken the first step, unfortunately in 1971 the same step was punished by the power mongers who had stayed in power through fraud democracy, The people had finally woke up and this is the first warning for these people to cut and run.